The Rascalboys make their triumphant entrance on the 33rd episode of the White Belts in Life Podcast! The White Belts discuss plastic wrestlers, the midterm election results, and wade in to the dangerous waters of discussing the current political landscape on Episode 32 of the White Belts in Life Podcast. MMA Trades, dream matchmaking, and fitness industry gripes are but a few of the many topics covered on the 31st episode of the White Belts in Life Podcast! Our recap of Bellator weekend inevitably leads to a slew of tangential discussions on this 30th episode of the White Belts in Life Podcast! We provide our own commentary for this past weekend's Bellator 208 fight card in this special edition of the White Belts in Life Podcast! It's the 29th episode of White Belts in Life and we recap what went down inside and outside of the cage at UFC 229. Conor/Khabib predicitons, moving to Brooklyn, and Spartan Races are all touched upon in this 28th "proper" episode of the White Belts in Life Podcast. 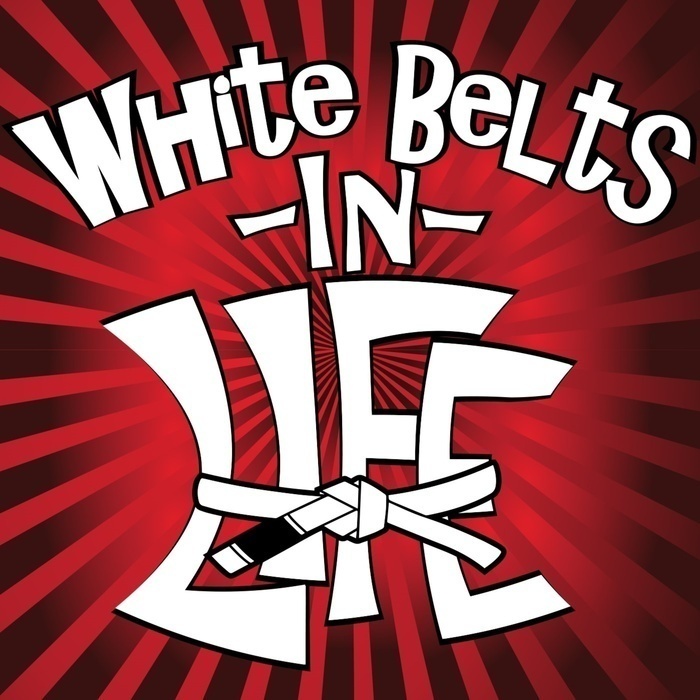 Comedian and Martial Artist - Sidney Gantt joins us on this 27th edition of the White Belts in Life Podcast. Plenty of Beetleborgs and VR Troopers discussion on this 26th episode of the White Belts in Life Podcast! Learn to stay away from Bad Hombres on this 25th official episode of the White Belts in Life Podcast.